How would you motivate and inform a temporary workforce of 70,000 people, who would be working on a one- chance- to- get- it-right event? A workforce doing jobs they’d never done before, living in a strange place, working in brand new teams, under the glare of international media coverage? What would you do? 1) Multi-channel approach LOCOG used just about every comms channel available to inform and engage the volunteer army and it worked a treat. Electronic, phone, face to face, print, PR, two way radio, foot messengers – you name it, it got used at the games. Probably even carrier pigeons had an outing. 2) Email In the lead up to the games all communication was by email, with a helpline available to answer questions. The applications process was on line, as was some of the training. Many organisations shy away from exclusively using online comms on the grounds that it limits access. It was a brave choice, but with 200,000 applicants for 70,000 places it seems the gamble paid off. 3) Face to face Team leaders took on the role of communicator in chief – cascading information to their group at daily briefing sessions. Those at the top had faith the cascade system would work and you know what? It did. 4) Communal areas Posters, flyers, daily news sheets and good old gossip were put to great effect in workforce areas. Comment walls, memory boards, funny photographs support flags waiting for graffiti messages and quotes of the day all provided a two way channel for exchanging information. 5) The uniform It was loud, unflattering and sweaty but the Gamesmaker uniform was a vital communications tool. Head to toe branding created instant team spirit. If you saw someone wearing it you knew you’d found a friend. 6) Saying thanks A little gratitude goes a long way and thanks from the organisers, athletes and public really helped to keep everyone enthusiastic. Strangers in the street stopped me and thanked me for my contribution to the games. 7) Small rewards – Some volunteers signed up for weeks of shifts. Others were there for only a day or two. But little rewards every couple of days helped keep spirits up. 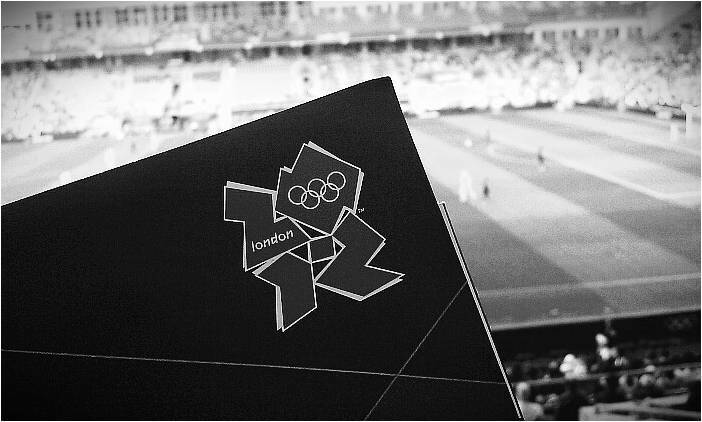 An Olympic journal, bronze, silver and gold pin badges and a brushed aluminium relay baton were all handed out at different times, so Gamesmakers had some unique souvenirs of their experience. 8) Momentum and mailing lists. I’ve already had mails from the Olympics asking me to volunteer for Rio, for the Commonwealth Games. And you know what? I couldn’t sign up quick enough! 9) PR Discovered some of the Gamesmakers have devised a dance routine? Get them on TV. Usain Bolt flirting with the volunteer who carried out his track equipment? Get in The Sun. Every newspaper featured a human interest story about Gamesmakers, showing once again the value of straight PR and telling people stories about people. A Google search currently shows more than 11k articles on Gamesmakers. Not bad. 10) Flexibility– Everyone read the scare stories of the supposed draconian rules for Gamesmakers using social media during the Games but organisers quickly realised they couldn’t keep a lid on the urge to share and the rules weren’t rigorously enforced. The super-human achievements of the athletes may be what the record books show about London 2012 but it’s the theme-park cheerfulness of London during that golden fortnight that I’ll remember. Here’s hoping the Games have inspired a generation to be happy and helpful. That would be a great legacy. Jo Smith has more than 15 years comms experience and owns Vindicat PR.